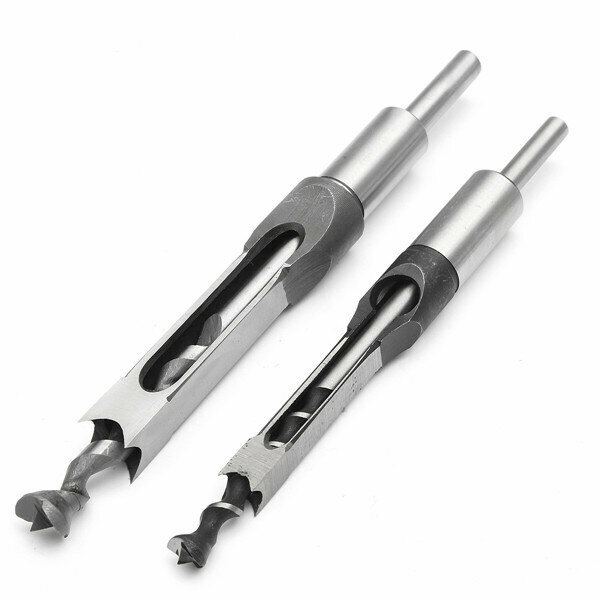 Square hole drill can not be used on an electric drill, drill square holes need to fit a square hole drill drilling (mortise and tenon machine) to use. Mortise and tenon square hole drilled by the terrible + outer sleeve in the middle of the combination. Application: mainly used for carpentry, applicable to the construction, installation, decoration, decoration industry use. Use: Square hole drilling is used in the square tenon machine, specially used for a drill square hole, it can not be used on electric drill. 1. Quare hole drill / hisel angel is mainly used for wood working: rosewood, board, shaving board, MDFBoard. 2. Bearing Steel manufacturing, hardness is good. 3. Standard chip design, easy to remove the side of wood chips, improve drilling efficiency. 4. Special Techonology production, durable and not easy to break. 5. Arc design, exquisitre sharpen durable. 6. Reduce labor intensity of construction workers, speed up the construction speed, reduce construction costs for construction, installation, renovation, decoration industries. 8. The bit clears out most of the material to be removed, and the chisel ensures the edges are straight and clean. 9. Hollow Mortising Chisel Bits are for making square mortises in one stroke and oblong mortises with each succeeding stroke.